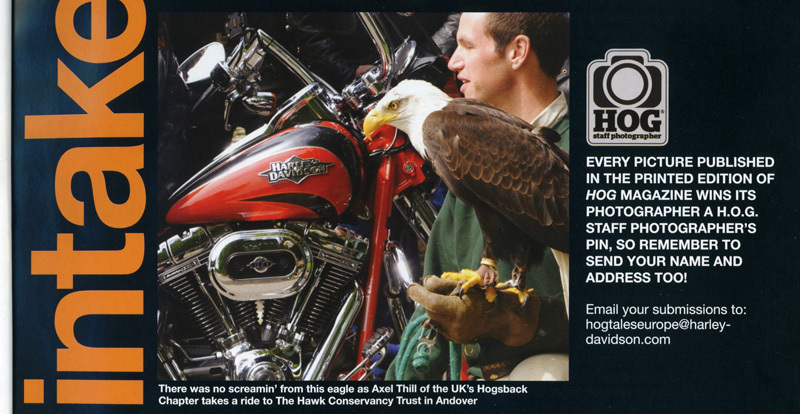 The picture was taken some time back in May, while we visited the Hawk Conservancy Trust in Andover. Some days later, the prize arrived, not money, not coupons, but a pin. 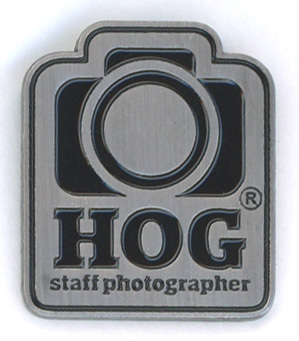 I think you need to be a keen photographer to enjoy the moment, and I enjoyed it very much. What a ride, I have to say Thank You, as it was great fun for me to share many miles with my fellow members. 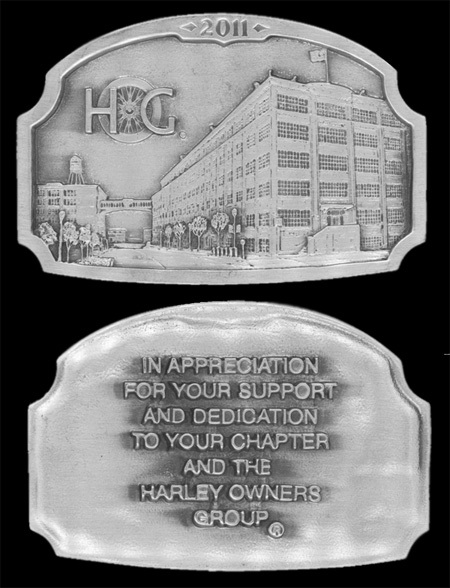 Intrigued by the building on the front, I found out that it is the Harley-Davidson offices in Milwaukee, 3700 West Juneau Avenue, USA. 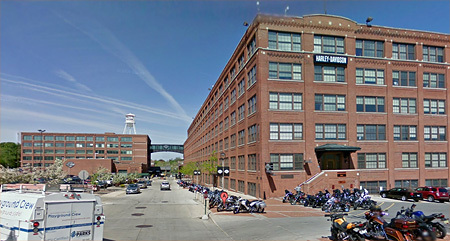 Never been there, but riding on Google Street View I took the next left…, and yes, thats the same building.